Shoes and good design is a combination difficult to resist. Putting the two together is a feast for the eyes, as in the case of the shoe displays below. From “floating” shoes to shoe forests, these displays show the artistic potential of these prosaic functional items and the visual impact that can be created with even the most modest resources. When it comes to store windows, there is nothing subtle about the display created by Elemental Design for Timberland. “Paint” that flows from buckets and bathe the shoes in color is an imaginative way to suggest color options or possibilities. 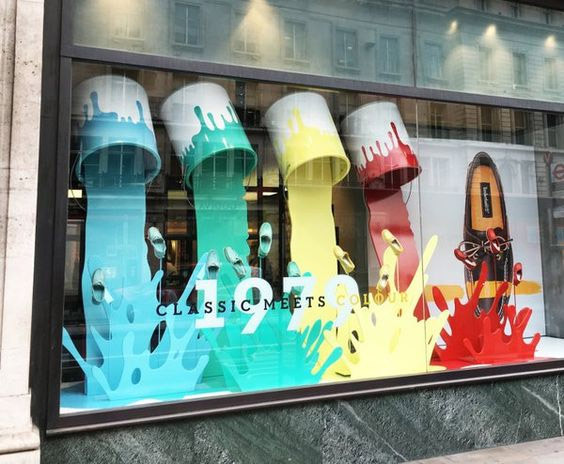 The 2013 Christian Louboutin spring window display series in London and Paris do not cut corners when suggesting that shoes are the best medicine for seasonal ailments. 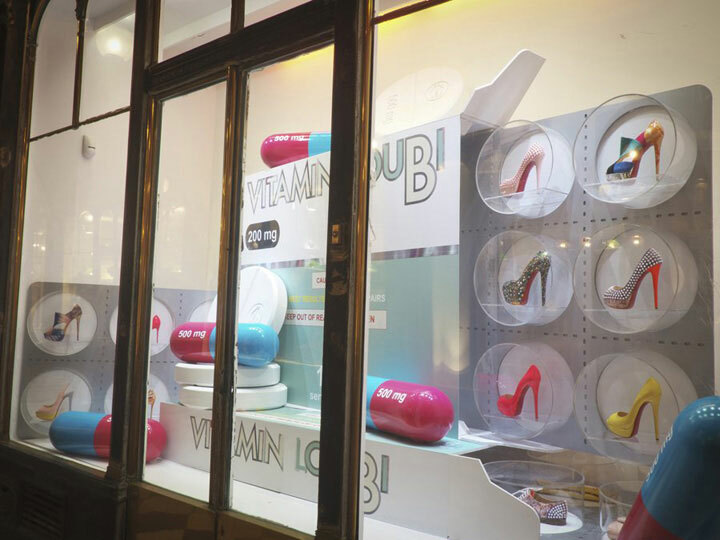 Mixed with giant pills, the shoes are humorously called “Vitamin LouBi” and slipped into giant blister packs. 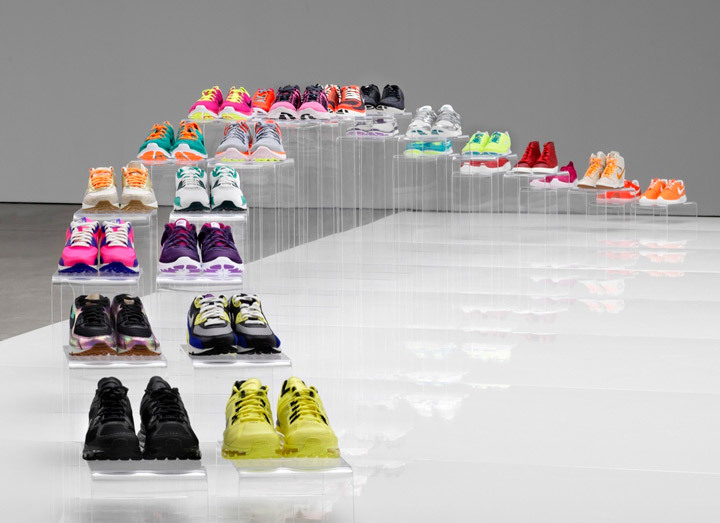 Inside the stores, shoe displays do not have to be reduced to the typical wall shelf. 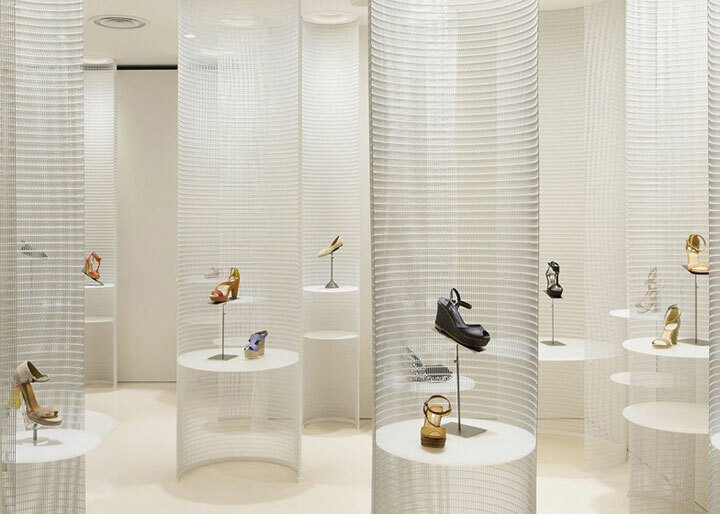 For the Lucca Ilena store in Osaka, Ryutaro Matsuura created a shoe “forest,” where the products are nested within tall vertical C-shaped wire mesh structures that invite customers to explore. 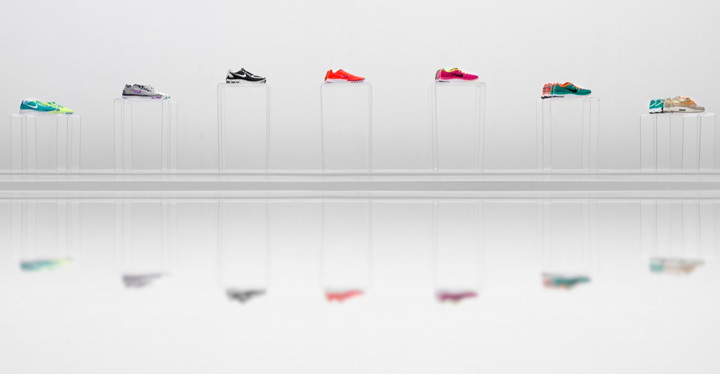 Shoes capture a sense of movement and weightlessness in the pop-up showroom for the Nike Women’s Collection exhibited in Beijing and designed by Maggie Peng and Albert Tien. Displayed on transparent pedestals between two plinths, the shoes seem to float on top of an invisible wave. The powerful effect created with minimal resources is impressive. Finally, seasonal displays can turn shoes or items associated with them into stunning works of art. 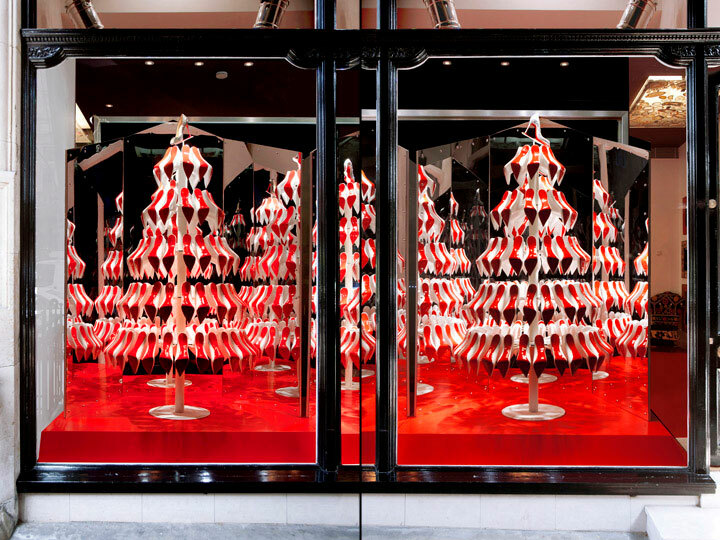 Designed by StudioXAG, Christian Louboutin’s winter windows flaunt spectacular rotating Christmas trees made of Pigalle shoe cast lasts and surrounded by mirrors. On top of each Christmas tree, a Louboutin shoe sits as the crowning glory of the construction.